What’s in a name? | I'm hard of hearing, so what? What’s in a name? – I'm hard of hearing, so what? Recently I read a discussion about the question of whether there was a general covering name for (people with) a hearing impairment. Now names are as old as a society, a trend and a fashion. In the past, for example, deaf people were called “deaf-dump”, which was a common term in those earlier days. The “dumb” stood for “not being able to talk (properly)”. Nowadays we have unpleasant associations with this term and “dump” can also be referred to as “non-intellent”. This, in one breath with deaf, could indicate that the person who uses the term “deaf- dump” thinks that someone who is deaf is also not intelligent, which is of course completely wrong. That is why we are now opposed to this term. 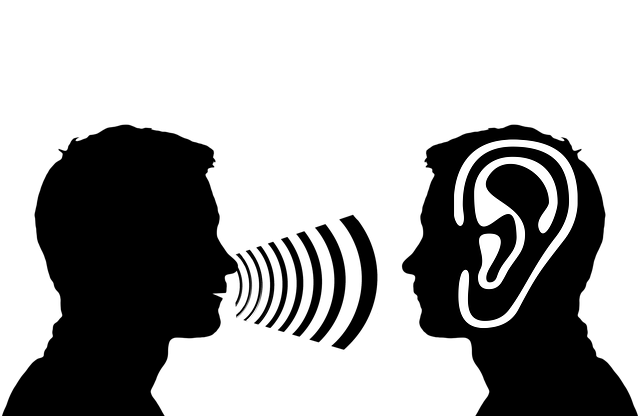 I myself have used the term “hearing impairment” in my blogs. By this I mean people with any form of hearing impairment. In Dutch I used a similar term. It has recently been pointed out to me that this term is also perceived as unpleasant. A more common term proves to be “auditief beperkt (auditory impaired)”. It was also found that not everyone with hearing impairment feels impaired. Since I write my blogs in 3 languages, mostly in German and then translate the text into Dutch and English, it is quite possible that my rejected term came from the German equivalent. Nonetheless, I have taken note of it and have now replaced it in «auditory impaired». However, with the above-mentioned discussion of names in mind, I did think about this further. What is indeed a general, opaque name for someone with a hearing impairment? Now there are as many variations in a hearing impairment as in a name and so it is not easy to give an answer to this, if there is an answer at all. Personally, I think “people with a hearing impairment” sounds the most sympathetic. We are talking about people here and those people have a hearing impairment. But apparently there are also people with a hearing impairment who do not feel impaired at all. Recently, I read somewhere the term “people with an auditory challenge” which, in this case, would be a better term. Challenge sounds in any case more positive than impairment and equally covers the load, also for people who do feel impaired. And whether you hear less with one ear or both ears, or even hear nothing at all, I think it is justified to say here that this will present more or less challenges in life to every person with a hearing impairment. Whether you are old, young, signing or spoken language oriented, we all face our own challenge to deal with our impaired hearing. That is why as from now I would like to introduce the term «people with an auditory challenge» and «auditory challenge». It may take a while to get used to it, but that will be my personal challenge … And if I make an error once and a while, to err is human after all, then please help me reminding this!